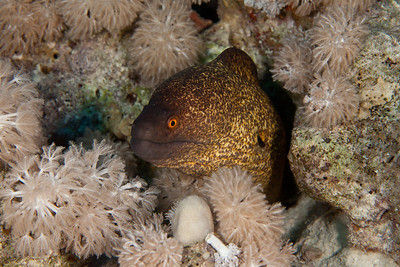 A week liveaboard trip with CamerasUnderwater to the Red Sea, from the 19th to the 26th of November 2010. 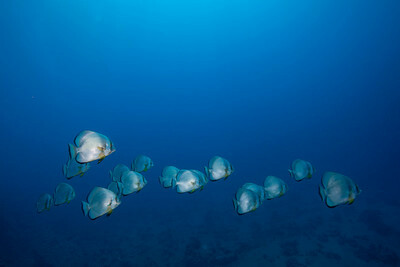 Our vessel, the M/Y Blue Horizon, departed from Hurghada and headed north-east for Ras Mohamed marine park. 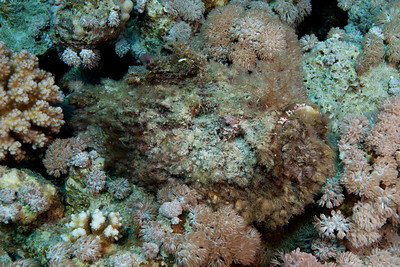 Along the way we stopped at various dive sites and wrecks, including the SS. 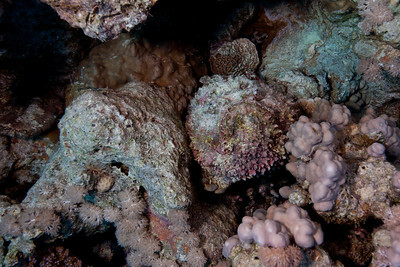 Thistlegorm. 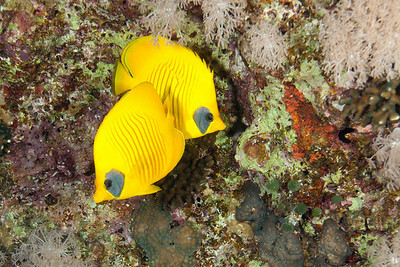 A pair of masked butterfly fish. 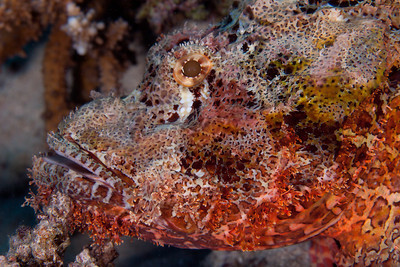 The scorpionfish can change its color to match its surroundings. 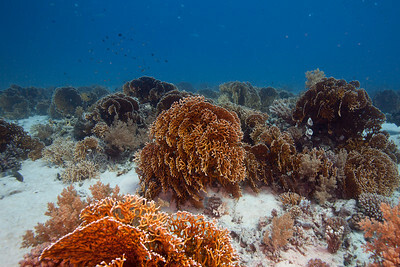 Here in between red coral. 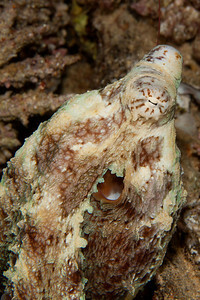 Again the scorpionfish camoflaged to match a different background. 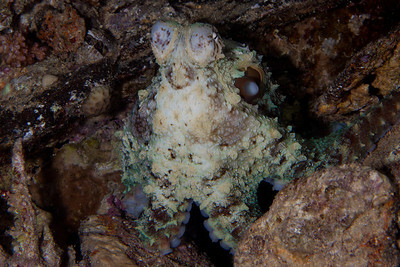 Octopus during a night dive. 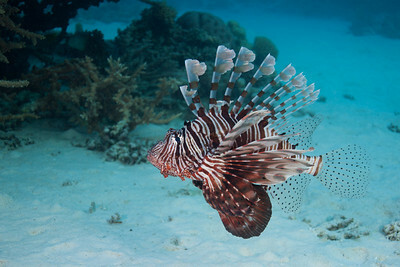 Lionfish, seen on every dive. 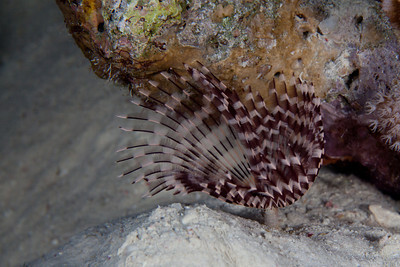 I probably have more Lionfish photos than the BBC. 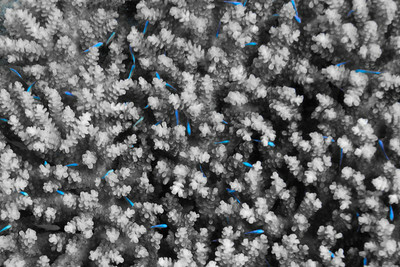 These small wrasses are hard to spot inside the corals, but bleaching all colors out except that blue color of the neon wrasse makes them stand out. 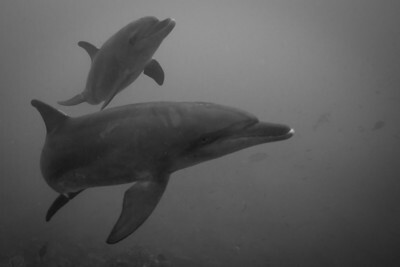 A pod of dolphins around the SS. 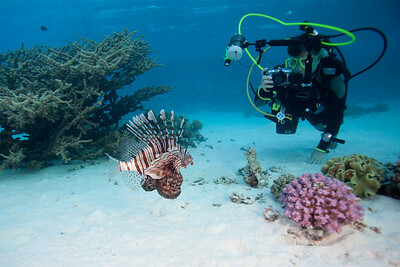 Thistlegorm. 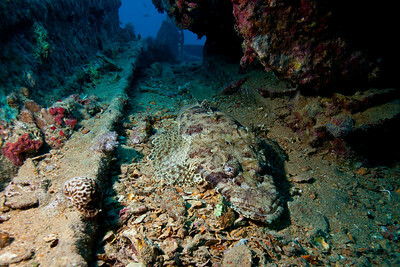 Crocodilefish aboard the SS. 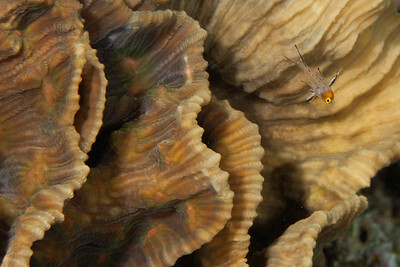 Thistlegorm. 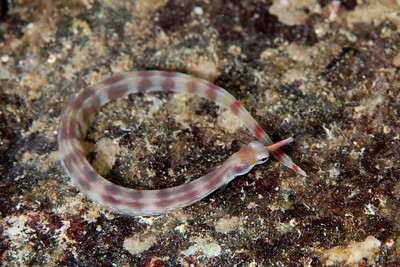 These banded pipefish are not more than 6-7 cm. 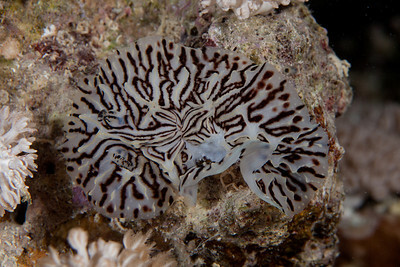 A pajama nudibranch around 15 mm long. 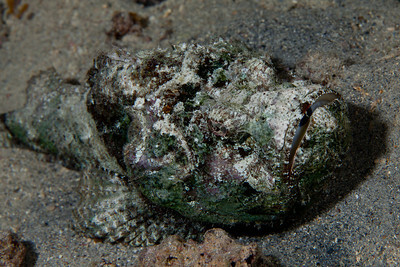 Stonefish are incredibly hard to spot. 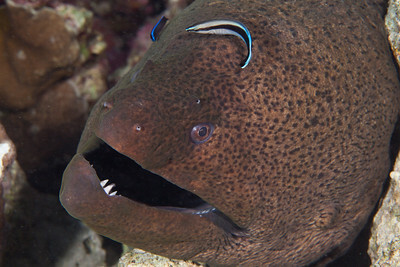 Look for the horse-shoe shaped mouth. 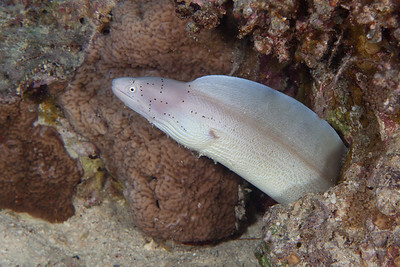 Wrasses cleaning a Giant moray. 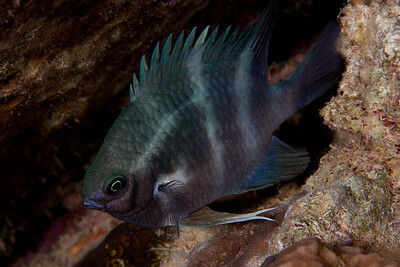 Juvenile Scalefin Anthias, under 1 cm in size. 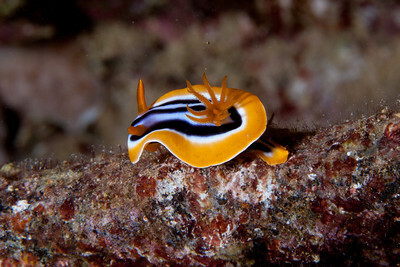 Nudibranch, its front on the left side. 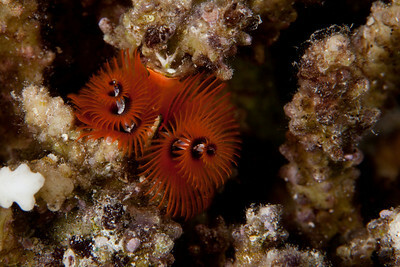 You can tell by the small rhinophores.